Experience an intense interactive live action game, exclusive to the PlayLink for PS4 range. 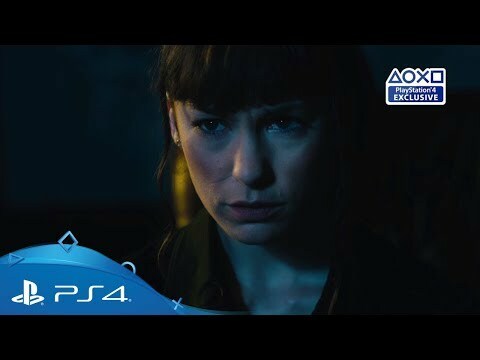 Immerse yourself in a unique live action video adventure with this PlayLink exclusive, featuring a branching narrative where every choice can have a profound effect on your game. 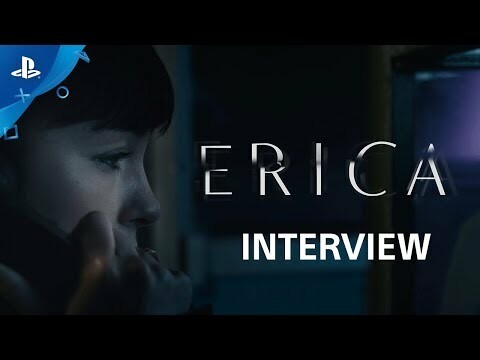 Erica throws you into a shadowy world of cinematic, interactive storytelling where your touch screen mobile device becomes the controller. Flip through the pages of a book, flick open a lighter or delicately wipe a tear from Erica’s face, as you delve into her past in an effort to decipher who’s telling the truth about a mysterious killer. Enjoy pioneering live action technology which instantly and seamlessly shows the results of your actions through Hollywood quality live-action video – with no visible pausing, loading or interruptions. Learn more about how the choices you make will affect your game in our special interview with creative directior Jack Attridge. Make every decision count in a branching narrative where your choices shape Erica’s journey as she’s caught between an old family friend and a killer on the loose. Use your mobile device to perform a variety of physical actions which directly impact the story. Will you open a door gently and slowly, or quickly force it and risk the unwanted attention any noise it might make? Use your voice – but not too much – in this chilling sound-based stealth thriller for PlayStation VR. Can you solve the puzzles of a mysterious, abandoned island?